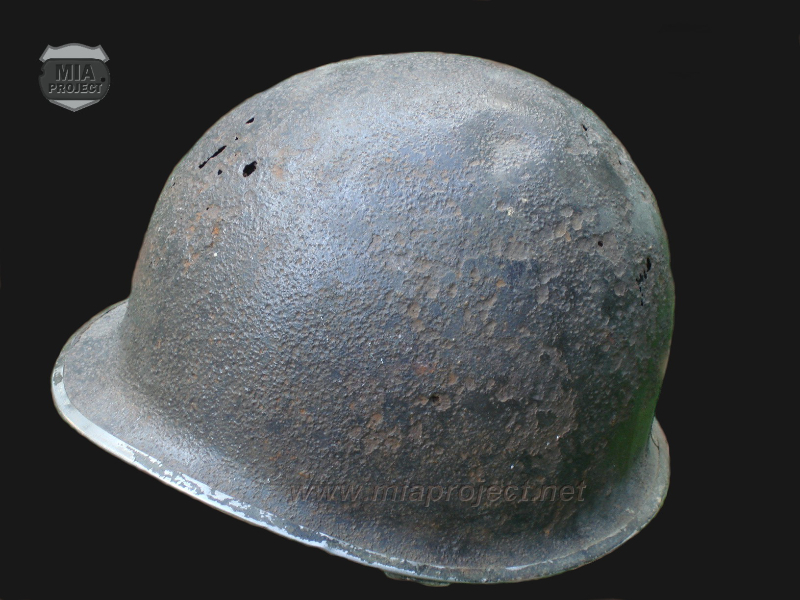 This M1 helmet was recovered where the 39th Infantry Regiment of the 9th Infantry Division saw action during the battle for the Elsenborn Ridge. It has no particular significance. It’s a standard mid war McCord production and bears no markings. The liner was removed to look for the famous « AAA-O » marking of the 39th Infantry but no such marking was present. 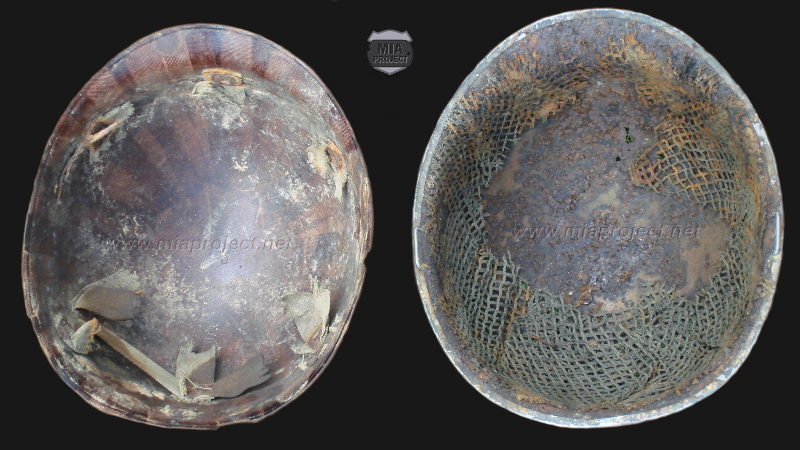 The helmet did however yield something unusual. 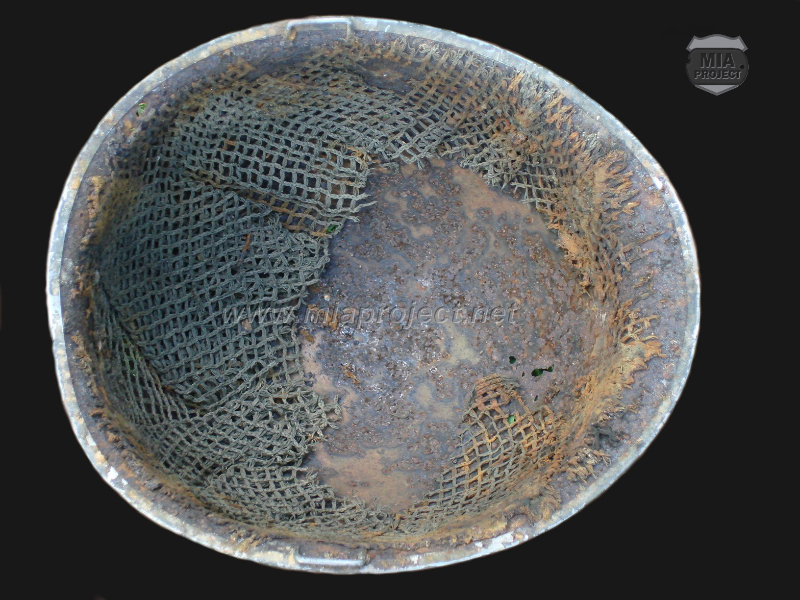 Portions of its original camouflage net were frozen between the shell and the liner.